I've just realised that the best time to take photographs is when I get fed up with studying. It (photography) elevates my mood to another level completely. Thanks a lot guys. And for the record, Photoshop was used only for a little bit of colour adjustments. Here's a link to the 1200x800 res version of the above. if you make the water look like tiles..
Dude the surface is already like tiles. 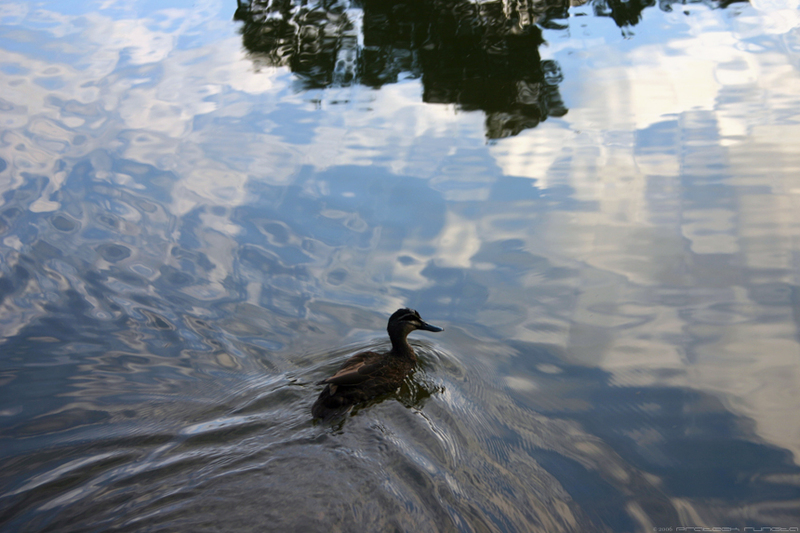 Also I don't think it would be very realistic to not have ripples when a duck swims by. Again, I didn't add any of those things anyways. the water looks amazing. well ya the duckling too. The reflection of the sky and the tree looks amazing.. Especially the ripples... Beautiful capture! Really like the calm look of this pic. Lol...I'd have to start studying to get fed up more often! Awesome photo. I began to think you're going to stop taking photos at ISO 100. And then this. Yeah well the lack of a tripod makes it inconvinient to take shots at low ISOs due to the usual lack of suffiicient lighting. Luckily that wasn't the case above. BTW. the photo's very cute. OK, I have no idea how it put a gravatar image next to my comment...I'm not even registered for gravatar yet!! BTW, i've changed my website url, and you'll find that on my name-link. @Sumdeh: Guess we're all looking for a way to escape studying :). As for the Gravatar, that's the default image its showing, and you just never stop switching urls do you?